Online is filled with quotes. Occasionally Zooma publish quotes, as "quote of the week" that we believe can be useful for you. 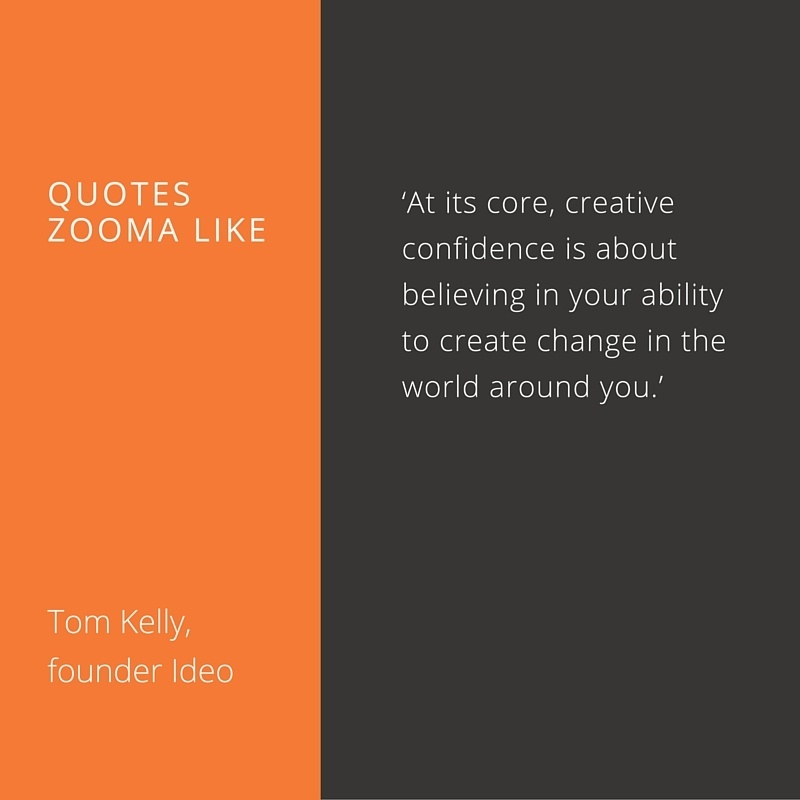 This time it's a quote by Tom Kelly from the book Creative confidence written by Tom and his brother David, Ideo founders, Enjoy!